Canonicalization...why am I using such a large word? Well I suppose it's because it is the only large word I know that sounds intelligent. All of my other large words just sound made up. Come to think of it, canonicalization sounds made up too. So what is it, why do you care, what does it have to do with Google +1? These could be all the same pages and for all you care it doesn't matter what the URL looks like. You may have not even know that the URL may look different, you just care that the actual page looks the same. I don't blame you. g We've said it before and we'll say it again: search engines do not like duplicate content! Duplicate content looks like spam to search engines. You create 1 page, recreate that page, recreate it again, recreate the recreated page, recreate it on a different site and so on. When you say it like that it sounds worse than just saying duplicate content, right. Well when you are not using the same URL for every file on your site a search engine does not understand it was an accident. To them it looks like the same page at a different URL...that's because it is. 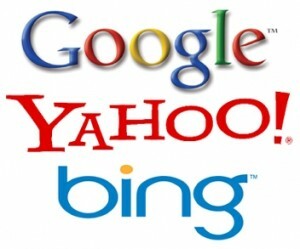 Canonicalization of your URLs is important to search engines because it avoids duplicate content issues. Links to pages within your site as well as the home page help your website pages get a reputation. It's word of mouth from other sites in the web world. You want to have high quality, RELEVANT links to as many pages of your site as possible. It's good to have quantity...but quality is most important. If your files are using more than 1 URL you will have your link juice spread out across several pages that should be the same. If all of that link juice was going to 1 canonical URL, your benefit would be that much greater. That sounds confusing I know. The other day Donny spoke about Google +1 and your social strategy. If you take a second to read that article, you'll have a better understanding of +1. I wan't to explain why your URL structure is important with Google's latest release. The basic idea of how +1 works is that people will press the +1 button if they recommend a site. The more people that +1 a site within your social sphere, the higher it will rank in your search results. It's like your friends telling Google to rank a site higher because you think your friends will like it...or even other people within your geographic area. This works based on the same principle of Google's understanding of your pages based on the URLs. If you have a few search engine listings for the same page but with different URls, different friends might +1 a different URL. Thus, shooting you in the foot. The page that you think is actually 1 page, but Google thinks is 3 pages got 30 +1's from friends. If these 30 +1's were all at www.examplesite.com/This-Page.aspx you would be more successful than if www.examplesite.com/content=ifjdisoaf834 got 10, www.examplesite.com/This-Page.aspx got 10, and http://examplesite.com/this-page-new.aspx got 10. One file, 30 +1s to 3 URLs is bad...one file, 30 +1s to 1 URL is good. I hope this makes sense. If it doesn't I would be happy to chat with you about it, but this is the best way I could say it with text. Hopefully we'll have a new podcast out this week and I can explain a little better. In the meantime, let us know what you think of the new +1 button.